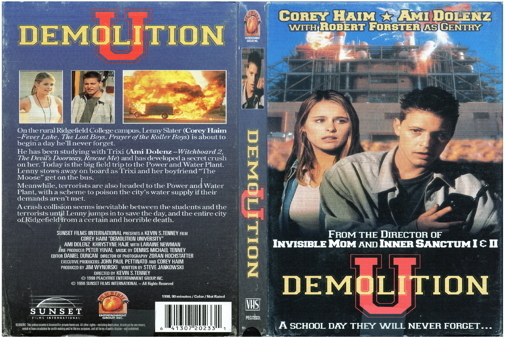 Corey Haim may have ruled the teen idol scene in the 1980s, but his character is too busy fighting terrorists to worry about looking pretty in this sequel to DEMOLITION HIGH. Haim plays Lenny Slater, a student who can't seem to find the secret to success at his university. He's in trouble with the school, everyone on his football team hates him, and the object of his affection (Ami Dolenz) can't stand him. But when a team of terrorists takes over a local water plant, and Lenny happens to be there for a field trip, he can't stand idly by and let them kill hundreds of thousands of people with their evil plot.